We moved to this new house. My husband and my two kids aged 10 & 5 years were really excited and all set to unpack. Just within 3 days, my whole life turned upside down. 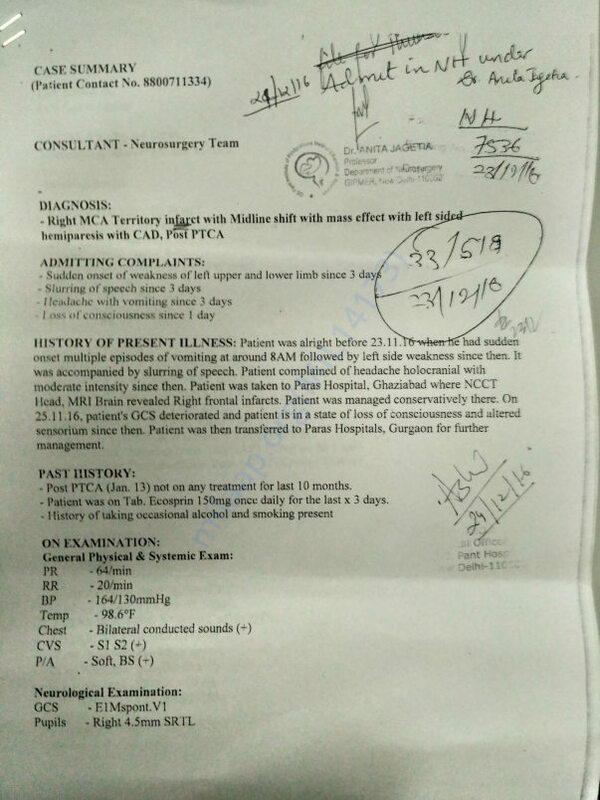 On 23rd Nov, my husband got a severe brain stroke around 9:45 in the morning. He went through a traumatic experience and while partially conscious; he asked me “who’s hand is it?” I had no nerve left to understand anything but to rush to the doctor. He has been a heart patient also since 2013. 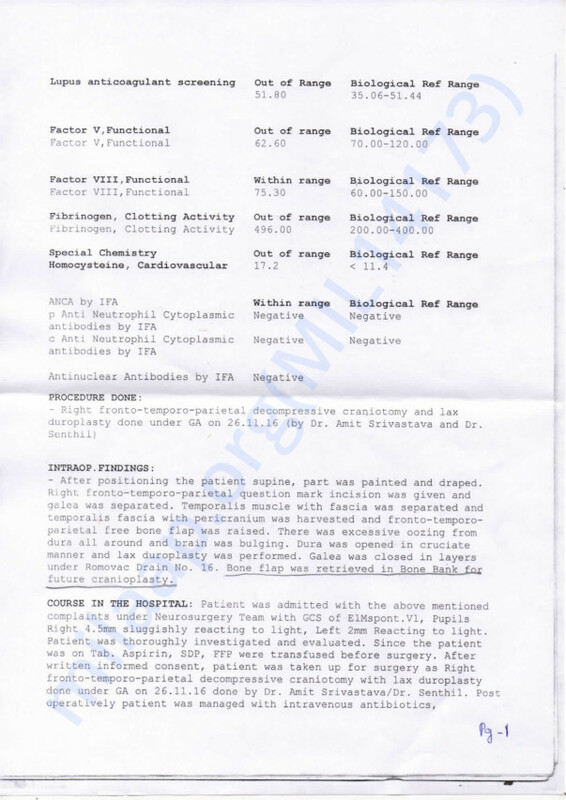 Finally, I was told that he had a life threatening Ischemic Brain Stroke which resulted into paralyses of his left body and a rare disease called Buerger that is causing the blockage in his arteries and veins of his hands & feet. I thank those doctors who helped us in this dire situation and performed that urgent & high-risked brain surgery on my husband and pulled him back to life. However, all these days have sapped me and my children in all facets of life. I lost my job, my children could not attend their school as I had no money to pay for their fee moreover my only support – my widowed mother-in-law – has also exhausted every dime of her savings that she had from her pension. 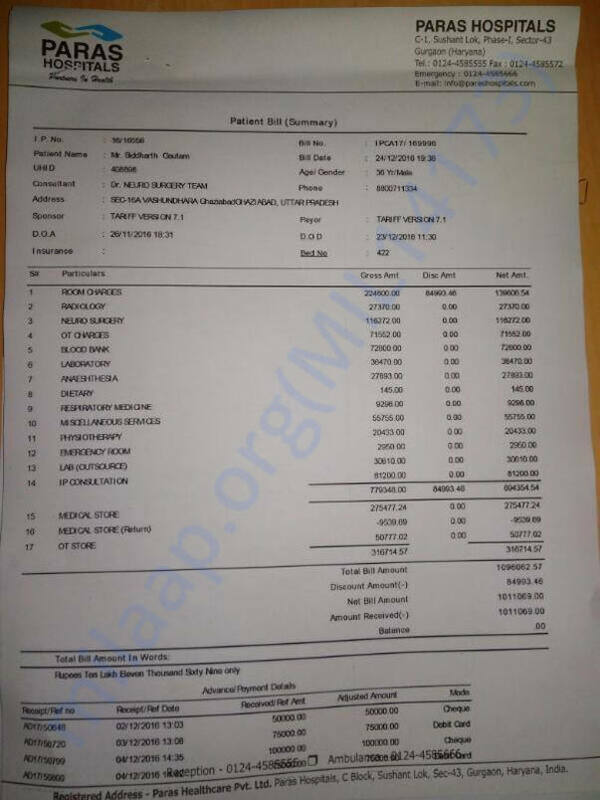 Now we need some financial support (6-8 Lakhs only) for his second surgery to replace the half of his skull bone flap and the ongoing medication. I cannot afford this cost anymore. Even if borrowed, I have no means to return. So please extend your support! Expenses borne already for his first brain surgery. 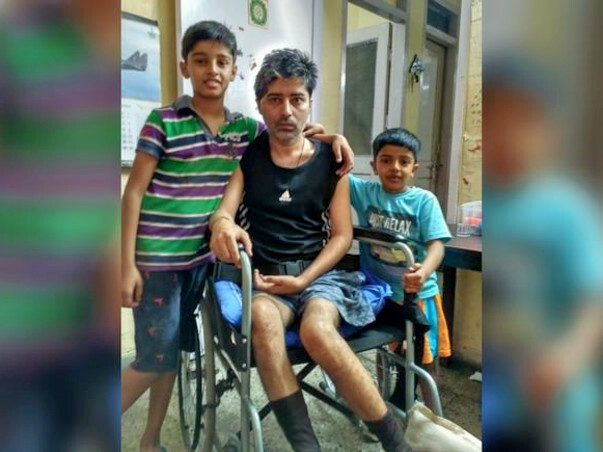 Siddharth is on heavy medication and still going through his physiotherapy sessions to make his left limbs work normally. 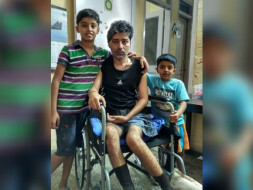 He is now able to walk few steps with some support. His latest blood report has not been very satisfactory. We are pleased to inform you that Siddharth has been discharged from the hospital yesterday and he is back home. There is a great improvement in his condition however he is still under physiotherapy and other medication. I'm glad to inform you that Siddharth is recovering everyday and soon he shall be fit to be released from the hospital. He is under heavy medication but he is allowed to be on regular diet effective today. Till now he was on soft diet. He has also been shifted from ICU to his ward.